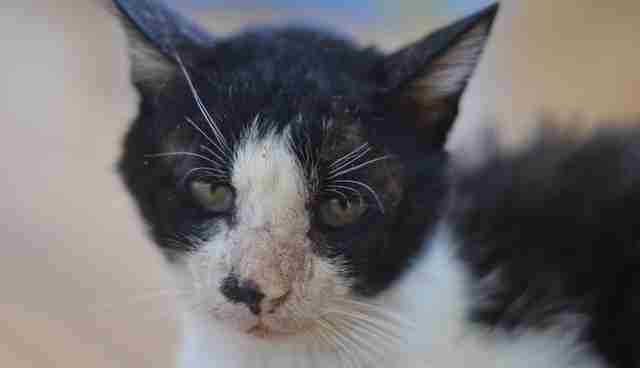 He's now known as Frog, but when he was discovered he was a nameless stray, starving, covered in wounds and dragging a dead leg behind him. 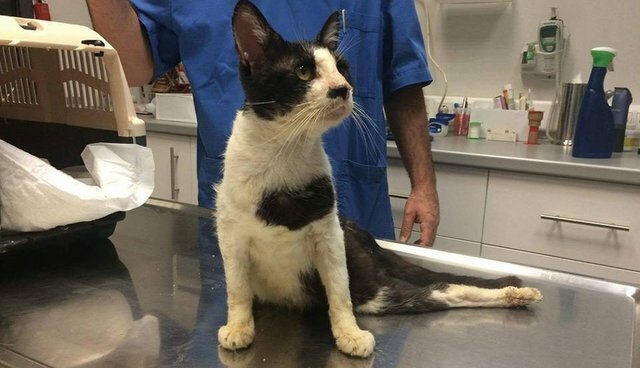 Luckily, when someone posted a video to Facebook of Frog, a woman named Nafsika Korniliou from the Greek rescue organization Second Chance Animal Rescue Society, or SCARS, saw it - and she knew she had to help him. Korniliou contacted the woman who shot the video and told her that SCARS would like to take Frog. "She was very happy about that," Korniliou told The Dodo. But it wasn't easy: SCARS is located in Athens, but Frog was in Komotini, all the way on the other side of Greece. 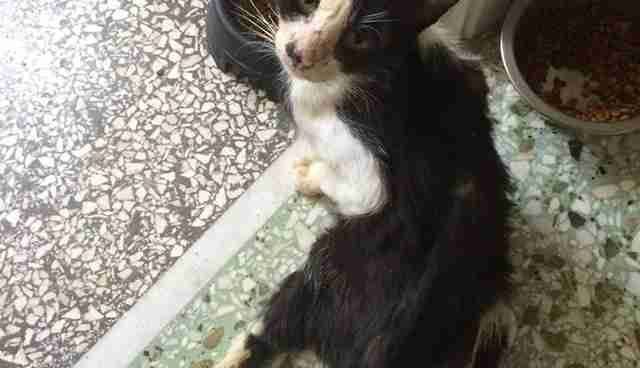 Two volunteers at SCARS donated money so that Frog could fly to Athens to get help as soon as possible. 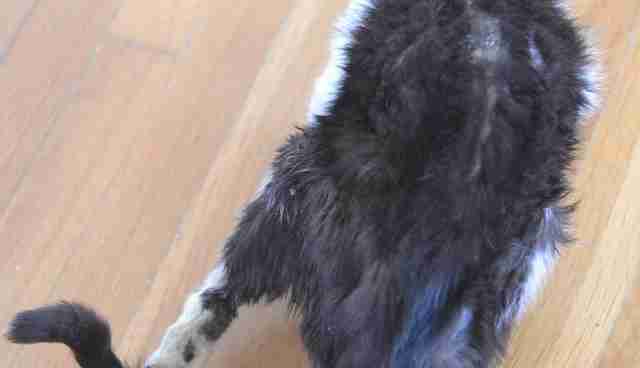 When he arrived, rescuers could see firsthand just how badly Frog needed help. "He was smelly and thin," Korniliou said. "Whenever he smelled food he started crying." Rescuers knew that Frog deserved a better life, so they took him in and tried to figure out why he could barely walk. "The wound on his paw was very smelly, and he was dragging the back leg, which had taken awkward and unnatural positions," Korniliou said. 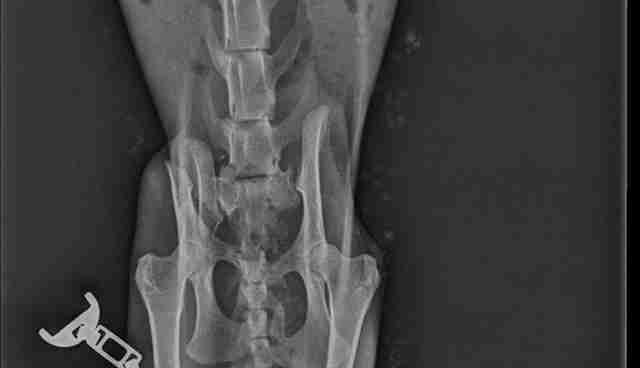 Frog saw an orthopedic doctor who took X-rays and discovered a mess inside the little stray's body. "His pelvis was broken and was stuck, not in the right way," Korniliou said. "The back leg has no feeling from knee down." After a course of antibiotics and vitamins, Frog was making great progress. And he was feasting ravenously. "He was eating like he has never seen food before," Korniliou said. 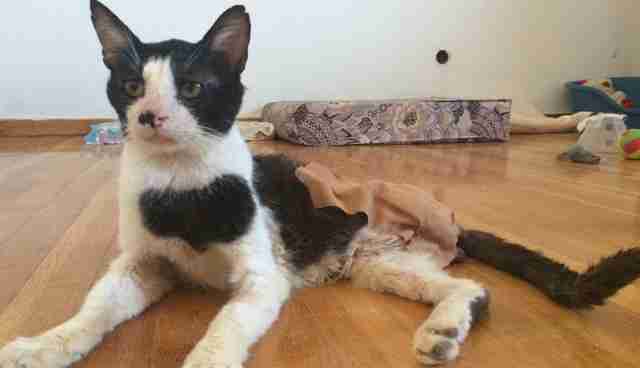 Finally, Frog was strong enough to go through the surgery to remove his dead leg, which gave him so much trouble. On Friday, Frog went in for surgery. 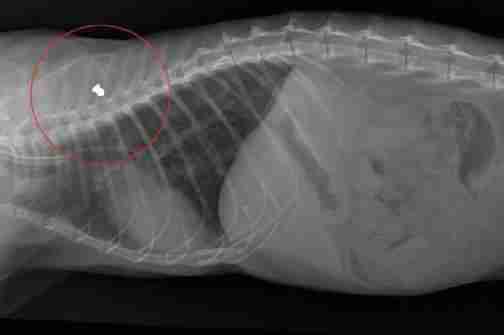 What doctors found helped illuminate the painful past that led Frog to be in such bad shape: A bullet was lodged in his little body. 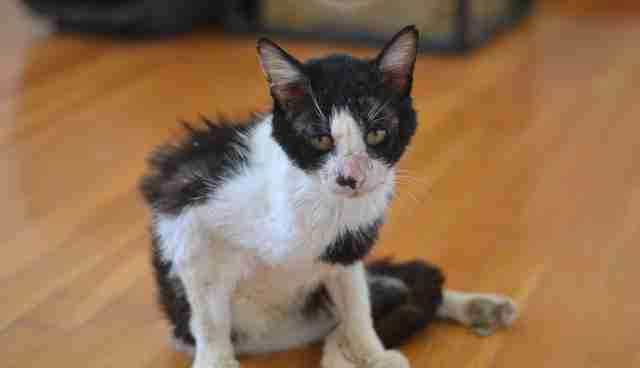 While we may never know exactly what happened to Frog, we do know that he's a fighter. Frog came through the surgery beautifully, according to SCARS. 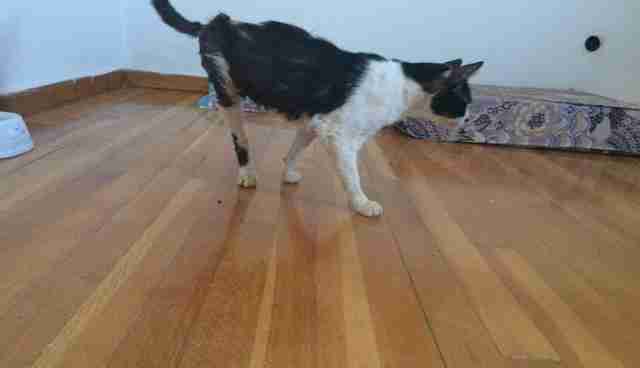 He's gaining weight and walking with no problems on just three legs. "Our goal is to transform Frog into a prince by making him well and by finding a forever home for him," Korniliou, who is currently fostering Frog, said. Thanks to the people who care about him, Frog is already well on his way. Click here to learn how you can help Frog and the other animals SCARS rescues.